The northern Ethiopian town of Lalibela, one of the holiest sites in the country, is known worldwide for its medieval monolithic rock-cut churches. 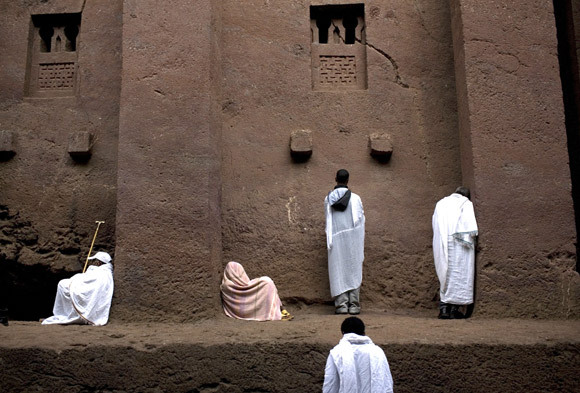 Though the dating of the churches is not well established, most are thought to have been built during the reign of King Lalibela during the 12th and 13th centuries. 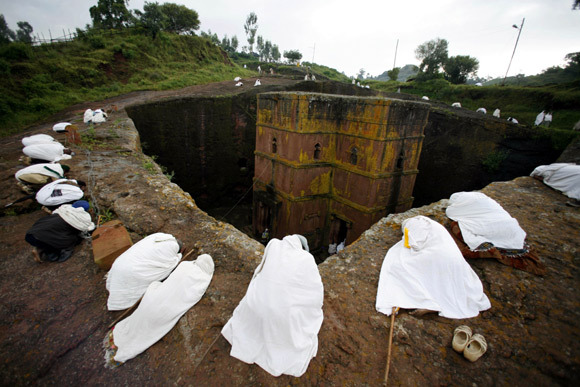 According to legend, angels helped King Lalibela build these churches below ground after he received an order from God to create a new Jerusalem in Ethiopia. Rediff.com presents some amazing pictures of the rock churches in Lalibela, regarded as the eighth wonder of the world by locals, which will take you back to medieval times. 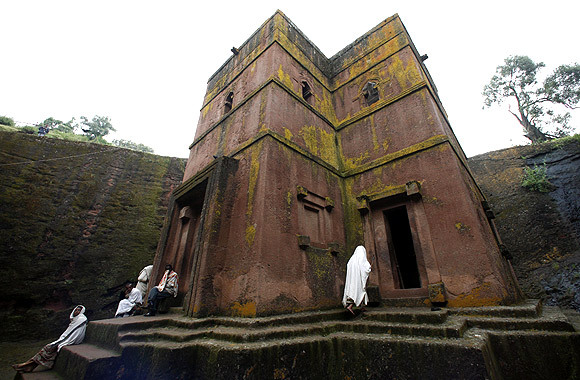 In this photograph, people stand around Saint George, a rock-hewn church in Lalibela, after the morning mass. 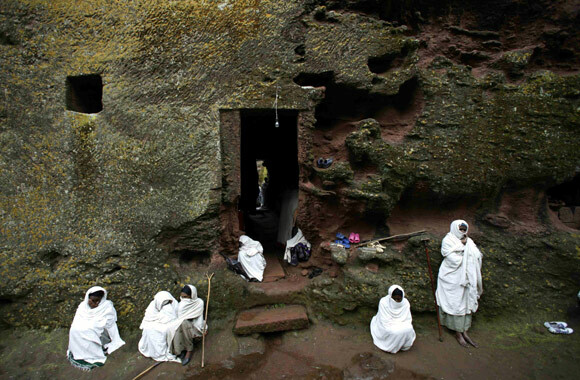 Orthodox Christian pilgrims pray by a wall at Bet Medhane Alem rock church in Lalibela. 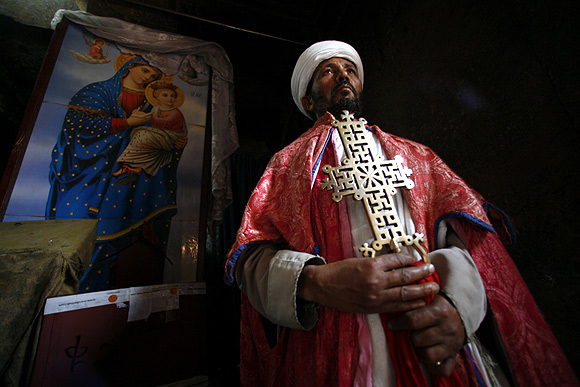 Christian Orthodox priest Mesganaw Tarkgn raises an ancient cross in a picture-perfect pose inside a rock-hewn church in Lalibela. 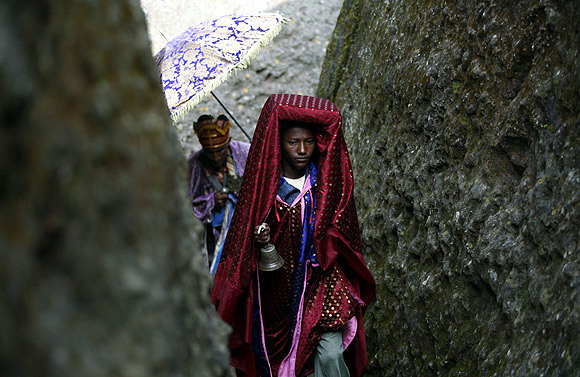 Standing patiently, he has grown used to the demands of visitors to one of Ethiopia's holiest sites. Women stand during the morning mass at Saint George, a rock-hewn church in Lalibela. 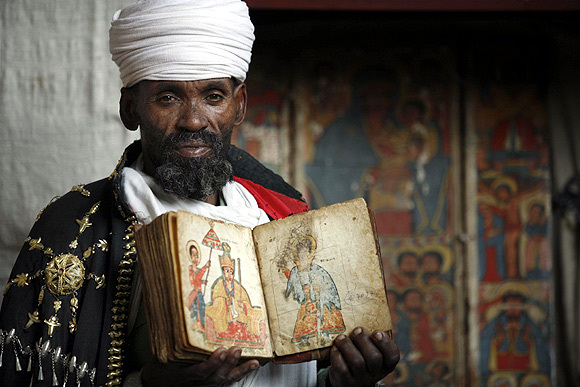 Ethiopia is the second oldest Christian country on earth and also possesses treasures from Muslim kingdoms, which the government hopes will help draw more travellers interested in faith. People pray around Saint George, one of the 11 rock-hewn churches in Lalibela, an ancient site that draws tens of thousands of foreign tourists every year. 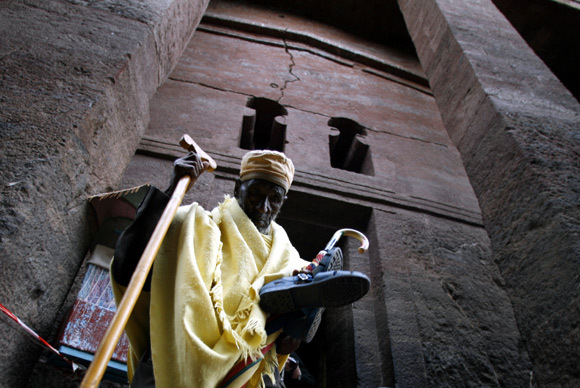 A Christian Orthodox priest raises an ancient painted Bible in a picture-perfect pose inside a rock-hewn church in Lalibela. 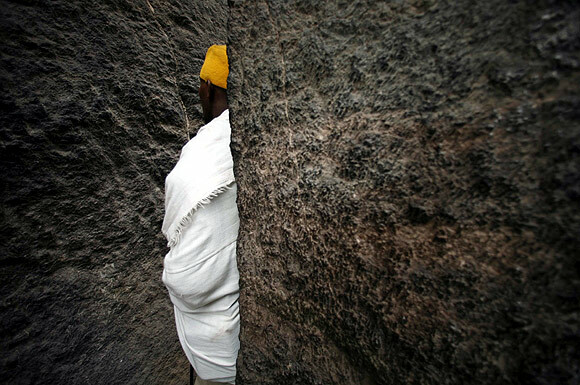 A Christian Orthodox monk prays outside a rock-hewn church after priers in Lalibela. 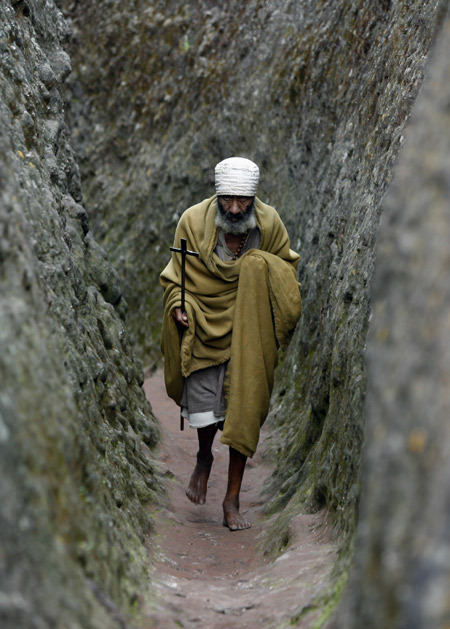 A Christian Orthodox monk leaves a rock-hewn church after prayers in Lalibela. 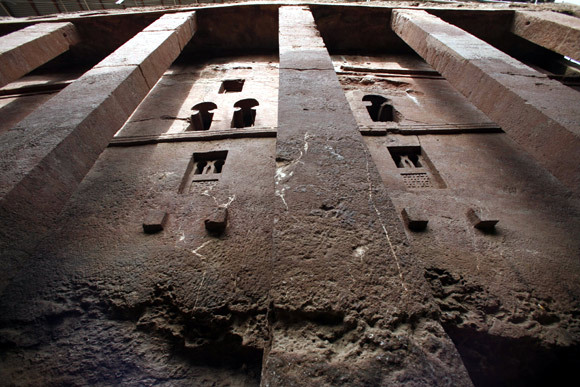 General view of a damaged facade of a rock-hewn church in Lalibela. 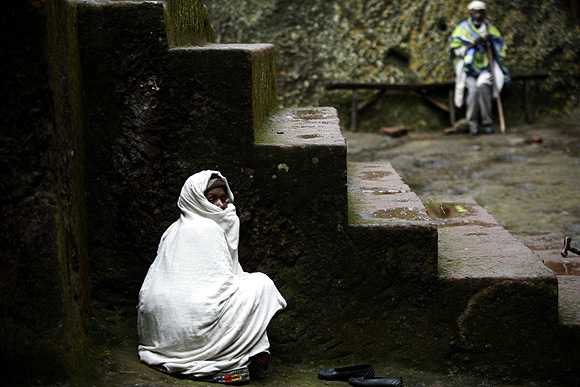 A woman stands at the doorsteps of Saint George, a rock-hewn church in Lalibela. 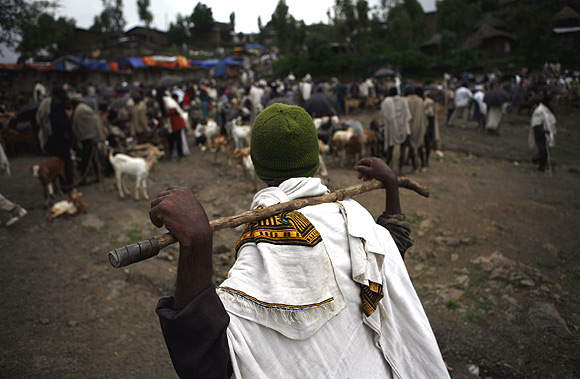 A man holds on his walking stick at the traditional open air cattle market held on Sundays in Lalibela. A priest rings a bell to call the faithful to a mass outside Saint George church in Lalibela. 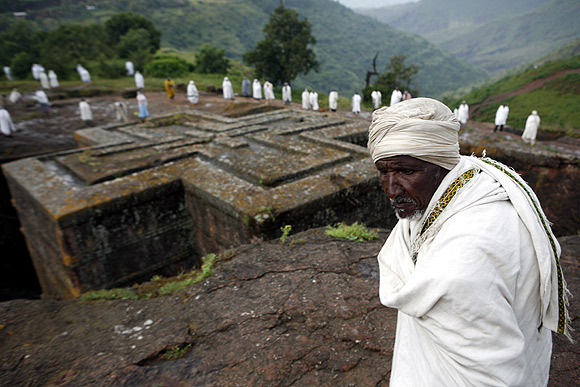 A man stands near Saint George, one of the 11 rock-hewn churches in Lalibela, during the morning mass September. 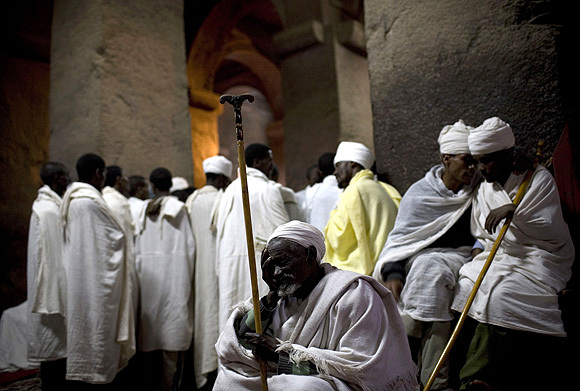 Orthodox Christian pilgrims pray at Bet Medhane Alem rock church in Lalibela. 4 things you MUST KNOW about your DEBIT card!